I once spent a very pleasant holday in the Salzkammergut region of Upper Austria, near the town of St. Wolfgang. Picturesque and beautiful beyond belief. It is situated on a lake called the Wolfgangsee at the foot of the Schafberg mountain. 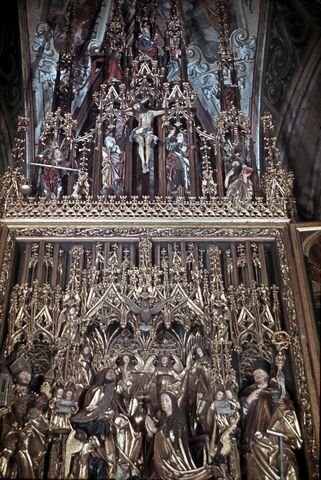 It is named after Saint Wolfgang of Regensburg who erected the first church there about AD 976. 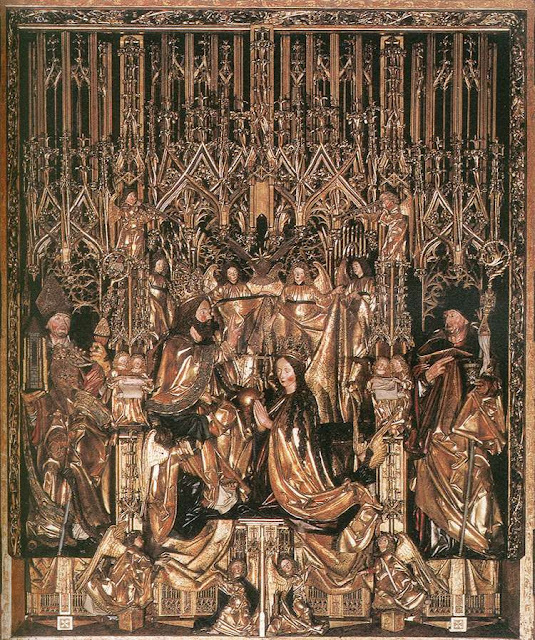 In the church of St Wolfgang is the famous late Gothic altarpiece by Michael Pacher. It was not until many years later that I was horrified to learn that a subcamp of Dachau concentration camp was located at the town during the Second World War. Town and area around said to be exceptionally beautiful; also the church. Horrifying indeed about the Conc. Camp - has it been completely destroyed? It certainly isn't mentioned in any of the web sites about that area or that town.